Our Network Design Validation service can help you save time and ensure that your network specifications are suitable for your project. If your project contains IP networks and you need support specifying the right one contact us. This is a type of computer network that can carry many different types of building services networks in one physical cable. When we deploy building services devices, such as air conditioning, lighting and heating, we traditionally put in a separate network for each type of device. These networks will probably have their own protocols, or communication language, for example, Modbus, KNX, BACnet. A building may have several separate networks, one for each control element. This is costly to provide, contains lots of redundant hardware and isn’t efficient. 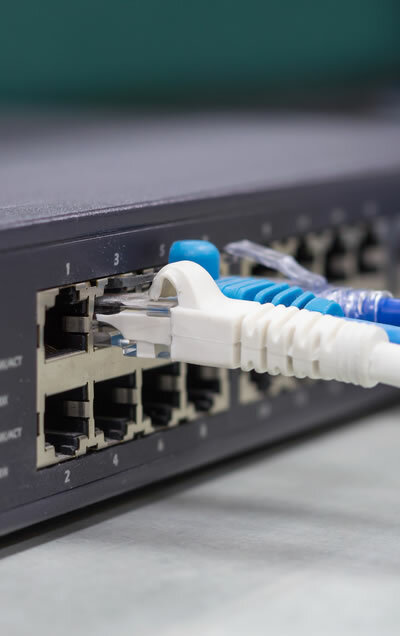 A converged IP network brings all of those networks into one physical Ethernet cable. This means there are fewer networks to install and run, making it much more cost effective. We deliver free, CIBSE accredited CPD training for M&E, building services, engineers and consultants. These are usually delivered at your premises over a lunch break. To book a training session call us on 01858 438 550. The benefits of accessing building control devices remotely are clear. Set points can be changed, problems identified and resolved, and energy use monitored, all without leaving the office. Recent headlines have highlighted the issues of providing remote access to building controls over the web. Target in the US and Google’s reputations have been damaged by hackers accessing their networks and building management systems. We provide secure access that avoids the web’s hackers. We can connect you and your clients to our private network, giving you unlimited remote access at a variety of speeds. Our connections come in either a broadband DSL or 3G/4G wireless versions. We pre-configure the hardware to ensure that all you have to do is plug the device into your network. Remotely interrogating your control system means that you don’t have to travel to the site to make any changes to the system. We’ll be able to work on your behalf to pre-configure remote access hardware to ensure it complies with your client’s security policies. Our 3G/4G router is an ideal tool to monitor devices during a defects liability period. Once the liability period is over you can simply remove the router and install it at another site. With our remote access services you can monitor your devices 24/7, 365 days a year. This could form the foundation for a new, enhanced service level for your clients. Download our guide for providing secure remote access, or ring us on 01858 438 550 for more information. If you are involved with deploying building controls devices there’s a strong chance that you will also provide a PC with a software application to control those devices. Is this supervisor PC, or head-end controller, fit for its purpose? Your building control devices will be operating 24/7/365, but can the PC you’ve provided do the same? Probably not, so is there a better way to provide your control software? 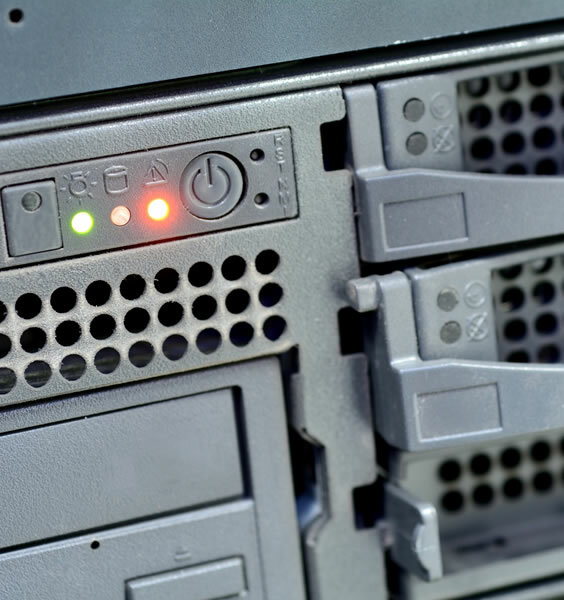 At Abtec we recommend providing a server rather than a single PC, particularly if the client is collecting business critical information on that PC such as energy use, or building entry data. A server is a more resilient version of a computer, with multiple mechanical parts to ensure it continues to work if any one element fails. A server is built for 24/7 use; just like your applications. If your application is critical to your client’s organisation you wouldn’t want to commission it on a device that may only work intermittently. We’ve lost count of the number of times we’ve seen supervisor PCs with Post-it-notes stuck on displaying the user name and password of the PC. With a server each user will have their own user-name and password. Each individuals’ actions on the server can be traced back to them. A server can automatically backup its data at regular intervals. This means that important data should be safer with a server. With multiple mechanical parts, multiple power supplies and multiple hard drives, it can be much more resilient than a PC. To find out how a server could improve your clients’ experiences of your services ring us on 01858 438 550.